We’ll address numerous questions in this class, including: Who gets to tell the story of the computer programmer, the problem solver, the coder? Has this story been told fairly? Has it been told completely? How could one tell some counter-stories/counter-histories of the hacker? How do representations of the hacker character in literature and popular culture contribute to hacker culture? Do hackers thrive on this image, or do they disregard it altogether? This course will take on these questions and many more in an attempt to understand representations of the computer programming community. We will begin from the assumption that literature, culture, and stories matter just as much as the code that sits behind/underneath/inside your operating system. 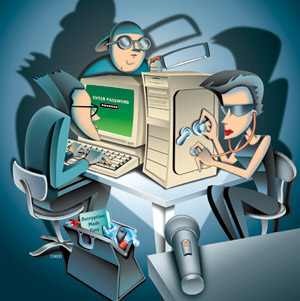 Representations of the hacker and the “computer geek” do important work in constructing images and categories. Our job will be to compile these stories. That is, we’ll compile narratives the way a computer program is “compiled” – we’ll decode and recode the narratives of the computer programmer.